TechConnect West Virginia hosted a two-day Entrepreneur Center Management Certification session on March 20 and 21 in South Charleston. Led by experts with the International Business Innovation Association (InBIA), the session offered a powerful base of knowledge on how to successfully manage and operate sustainable centers that encourage and support existing and startup businesses. Participants collaborate on a best-practices exercise during TechConnectWV’s Entrepreneurship Center Management training. 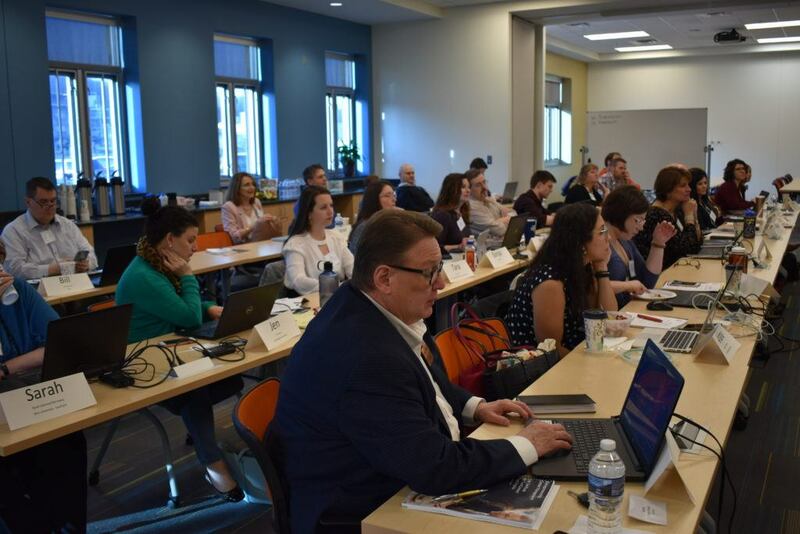 “In our region, entrepreneurship is key to growing the economy, and the centers that serve them are very important,” said Anne Barth, Executive Director of TechConnectWV. “We wanted to provide an opportunity away from the day-to-day operations of these facilities to come together and expand their knowledge of current and emerging best practices,” Barth added. Recognizing that incubators, co-working spaces and other entrepreneur centers share common needs and goals in serving clients, TechConnectWV partnered with the Ohio University Innovation Center’s LIGHTS program to offer professional certification to directors and staff of these facilities, which serve clients in their own and surrounding region. 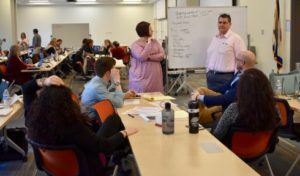 The training was offered in connection with TechConnect’s “NextUp West Virginia” program, which is made possible by funding from the U.S. Economic Development Administration and the Claude Worthington Benedum Foundation. “With support from the EDA and the Benedum Foundation, this program would not have been possible,” Barth noted.